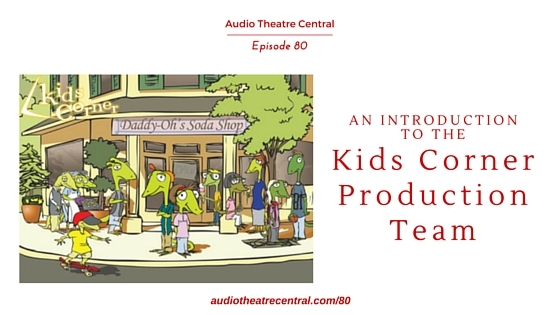 We are joined by the Kids Corner production team on this episode. We chat about the beginning of the series, some of the major characters, favorite episodes and much more. We also feature our first edition of the Eugenius Minds quiz game with contestant Elisabeth H. and we share another short behind the scenes tidbit from The Cross Maker recording sessions. In the feedback segment, we respond to comments from Sarah Grace and Jack W.
For our first edition of the game, we are joined by Elisabeth H. If you'd like to play the game head over to audiotheatrecentral.com/quiz. Jack W. found and purchased the board game that is mentioned in The Dragon and the Raven. The game is called hnefatafl and you can read about its history here and purchase it here on Amazon. Don't forget to answer the Eugene Sings! poll question if you haven't done so yet. What are your thoughts on the Kids Corner series? Send us your feedback! We’d love to hear what you think!